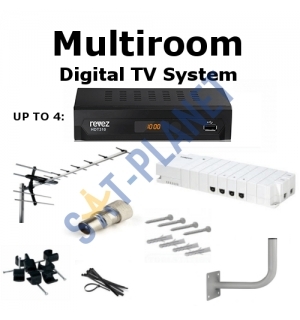 The digital TV box is required since the digital switchover in Oct 2012 to watch all of your favourite Irish TV channels. 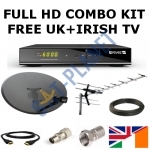 Saorview UHF Aerial Kit used to receive reception from Irelands local terrestrial transmitters. 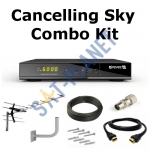 This is the kit allows users to watch all of the below channels for a single payment of the equipment. List of channels which can be received on Saorview: RTE 1, RTE 2 HD, TV3, TG4, 3E, RTE1+1, RTEjr, RTE News Now. 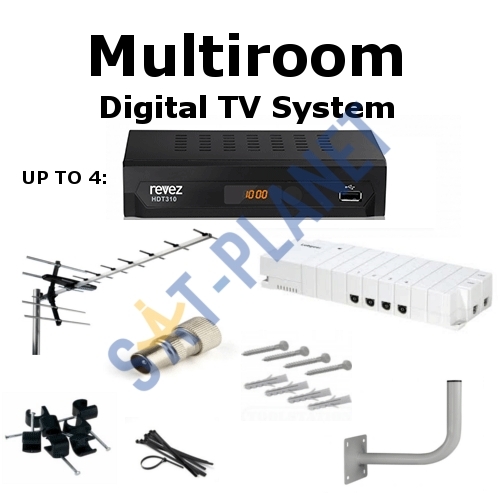 PLEASE NOTE: It's standart kit for one room installation. If you need a different colour or length of cable and other mounting please select them from options avaliable on the top.